For use with needles 5 Round Liner, Loose Liner, Round Shader. As compared with diamond tattoo tips, rounds ones are designed for creating thicker lines. They can incorporate a larger group of needles for achieving the desired result. 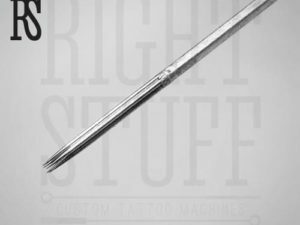 Be certain, there can hardly be any tattoo designs you can create without the use of a durable 5 round tip. 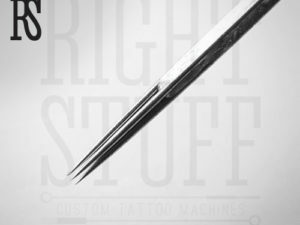 Use this single-use 5 round tattoo tip with round shaders, very tight and extremely tight liners (obviously round), textured round and 5 round shader needles. 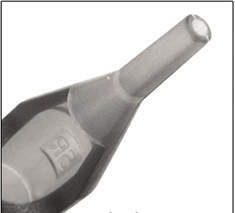 Besides the high quality, this 5 round tip has another important advantage: it saves you from the cleanup and sterilization you have to spend much time on after every use of a steel tip.